There’s no denying that candy is the star of the show on Halloween, but it’s not the only treat to look forward to. 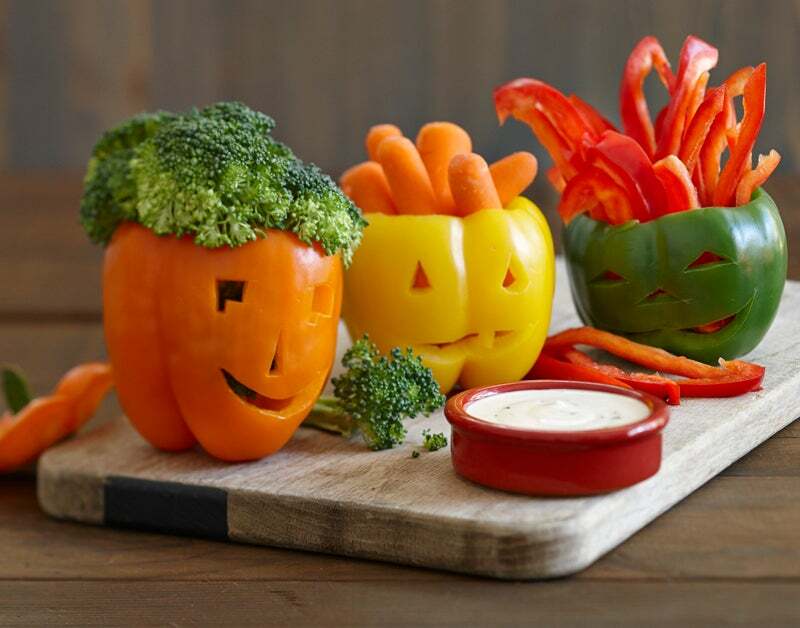 Wow your family and friends with these spookily-easy DIY Halloween food designs that will make your family and friends howl for joy. The only ghosts that won’t scare anyone away? Ranch ghosts on pizza. Easy, delicious, and fun for everyone involved (even just eaters). Scared of candy overload on Halloween? Don’t fear! The Veggie Ranch-O-Lantern is here. All you need is a pairing knife, bell peppers, and a few extra minutes to create an edible masterpiece.